Seeking comedic, physical, character actors for every role. These are all mascot characters (similar to mascots used at sporting events). Be prepared to move and be physical. If you have a special skill in circus please bring any props you will need to perform skills (this is not to be performed in the mascot costumes) Dancers are especially welcomed due to the physically demanding nature of this work. Experience with puppetry an advantage as well as large-scale children’s theatre. 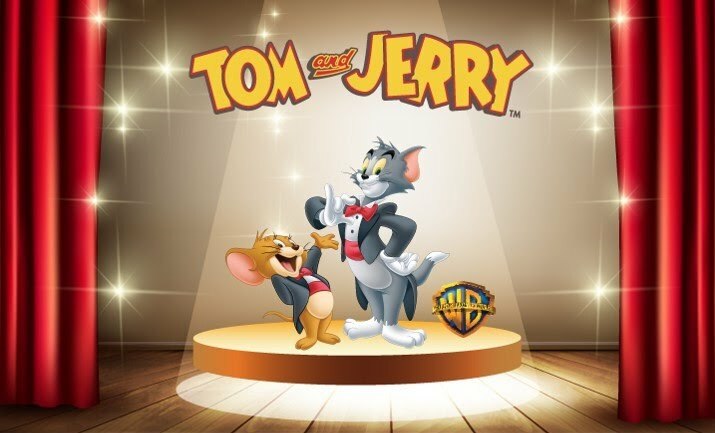 If you think you are adequate to one of the profile below, if you like to travel and join our international experience with Tom & Jerry, meet us for the audition dates below. On the audition performers should wear black and white clothes that they are comfortable to move in and soft footwear. All the additional details about venue and schedule will be sent to all the applicants by email. Be part of a great experience, submit your application through the form here. TOM 180-185cm (5’11-6’1”) Cat is a blue/grey domestic short-haired cat. Often gets the short end of the stick in his attempts to catch Jerry. JERRY 160-165cm (5’3”-5’5”) Mouse is a brown domestic mouse, sharp and clever as he always escapes the clutches of Tom. TOODLES 165-170cm (5’5”-5’7”) is an attractive white female cat, and is supposedly Tom's usual love interest in the series. Here she is the ruler of the Cats on Pawprint island. BUTCH 180-185cm (5’11-6’1”) is the warrior leader of the alley cat bullies. Sometimes he’s friend’s with Tom but often as not he rivals Tom in leadership & affections for Toodles. These three Cats always show up as a group with the comic relief of the three stooges. In this instance they are Butch’s henchmen. BIG CHEESE this is a small but mighty mouse, the leader of the Mice area in Pawprint island. He will actually be a humanette (puppet) operated by 2 people so only approx. 3’-4’ tall. (new character) These 2 puppeteers will be swing-understudies for the other characters. TAJA (height not restricted) a new character that will need to be very physical and a great mover, possibly american/english accent and singing a bonus but more likely will work in a mask. No specific height required, can be male or female. Additional skills such as juggling/tap dancing etc desirable.